Daily fantasy football will often flummox with unexpected and nonsensical outcomes. Yet a handful of Week 1's obvious instincts paid off handsomely for those who followed the chalk. James Conner assumed Le'Veon Bell's bell-cow role to collect 192 yards and two touchdowns on an enormous 36 touches and 77 snaps, per Pro Football reference. Drew Brees and Michael Thomas picked apart a feeble Tampa Bay Buccaneers secondary. Without Mark Ingram, Alvin Kamara partied in the end zone. Those popular stars were vital linchpins to Week 1 success. Of course, this game isn't always as simple. Who started Ryan Fitzpatrick, Phillip Lindsay and Will Dissly? Be honest, who had even heard of Dissly? Going back to the well could work wonders this weekend. Conner is once again a viable cornerstone. 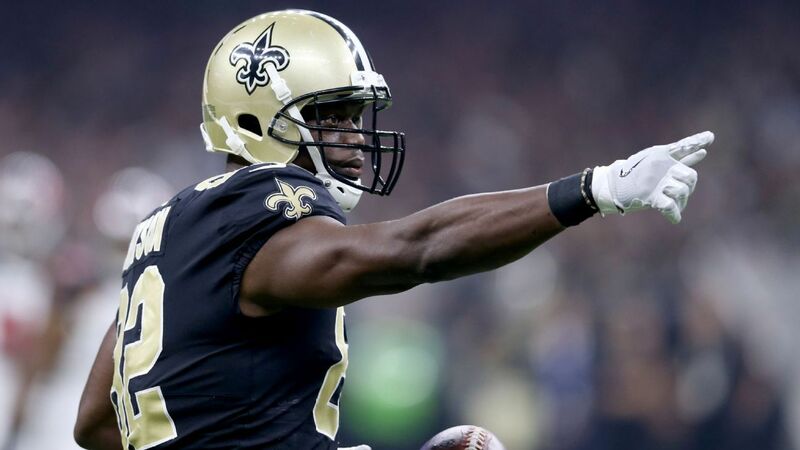 While the New Orleans Saints don't frequent the following DraftKings and lineups—catered to cash contests rather than tournaments—their pricy studs may merit the sizable investment. The Kansas City Chiefs surrendered 541 total yards in Week 1's 38-28 win over the Los Angeles Chargers. Per OddsShark, Vegas anticipates them to partake in another shootout, assigning their road showdown against the Pittsburgh Steelers the week's highest over-under line (53). Stuff cash and tournament lineups with Pittsburgh players. Antonio Brown registered 834 receiving yards and six touchdowns in seven games at Heinz Field last season. Kansas City had no answers for Keenan Allen, who caught eight of 11 targets for 108 yards and a score. Business will be booming for Brown, who should unlock DraftKings' 100-yard bonus while chasing double-digit receptions. Conner's price increased, but not enough to account for a great matchup and his monopoly over Pittsburgh's backfield. I can see ranking Todd Gurley (vs ARZ) ahead of James Conner (vs KC) as a Week 2 #fantasyfootball running back play. *Maybe* Alvin Kamara (vs CLE). But Conner out-touched Kamara by a margin of 19 in Week 1. Either way, Conner is a top-3 RB1 this week. Melvin Gordon won't duplicate last week's career-high 102 receiving yards, but he's still in store for a huge day. The Buffalo Bills, who ranked 29th in rushing defense last season, relinquished one rushing touchdown each to Alex Collins, Javorius Allen and Kenneth Dixon in a 47-3 loss to the Baltimore Ravens. Unless the Chargers can rest their starters by halftime, the star running back is a strong bet to eclipse 100 rushing yards and find the end zone with 20-plus touches. Plenty of readers will have no interest in playing Russell Wilson on the road without Doug Baldwin after suffering six sacks and tossing two picks behind a feeble offensive line. Yet last year's top-scoring quarterback is cheaper than a dozen healthy signal-callers despite tossing 298 yards and three touchdowns in another tough matchup against the Denver Broncos. Those unwilling to take the discount should pivot to Alex Smith for the same price. This lineup requires gamers to closely monitor injury statuses on Sunday morning. Although the New England Patriots will hope to welcome Sony Michel to the fold, Rex Burkhead is now uncertain because of a concussion. Per the Boston Globe's Jim McBride, he was "limited at best" in Thursday's practice. Burkhead sitting would create ample pass-catching opportunities for James White, who received a team-high nine targets in Week 1. Tom Brady will need a check-down option with Julian Edelman serving a suspension and Jalen Ramsey roaming the sidelines. Chris Godwin has played over 50% of #Buccaneers snaps in 6 career games. His receiving lines: 5/68 (10 targets) 5/68 (6 targets) 1/18 (2 targets) 3/98 (6 targets) 7/111/1 (12 targets) 3/41/1 (4 targets) His 12.7 FPG in these games is good enough for PPR WR24 -- last two years. Even with Jackson shining for the Tampa Bay Buccaneers, the second-year wideout played in 70 percent of their snaps and delivered 41 yards and a score. If Jackson plays, swap Godwin for Randall Cobb provided Aaron Rodgers gets the starting nod. DraftKings properly prices Ben Roethlisberger as the second-costliest quarterback behind Brees. On FanDuel, however, he's cheaper than five of his peers and just $100 more than Patrick Mahomes, Andrew Luck and Kirk Cousins. His home-road splits are often mentioned, but he also threw a resounding 25 of 28 touchdowns in Pittsburgh's 11 wins. OddsShark pegs the Steelers as 4.5-point favorites at Heinz Field. Just make sure a minor elbow injury doesn't sideline him. Gordon is perfectly playable at $8,200, but some significant discounts allow an upgrade to Todd Gurley. Dalvin Cook for $6,500 is particularly a price to exploit. The running back returned strong from a torn ACL by playing 57 of the Minnesota Vikings' 71 snaps and totaling 95 yards (40 rushing, 55 receiving) on 22 touches. "Now that (the opener is) out of the way, we can play some football now," Cook said, per Chris Tomasson of the Pioneer Press. "Like I've said, it's a lot like that first hit. You got that first game out of the way and you know, 'I'm back. I'm back out here ready to go.'" He faces the Green Bay Packers, who just yielded 107 yards to Jordan Howard, so expect another busy game from Cook as a runner and receiver. Nelson Agholor and Quincy Enunwa, each of whom received 10 targets to start the season, also present fruitful buying opportunities. While Aghlor turned his eight catches into just 33 yards, he now faces a weak Buccaneers secondary that got weaker by losing cornerback Vernon Hargreaves III to a torn labrum. Enunwa made more of his opportunities (six catches, 63 yards and a touchdown), which is especially impressive considering Sam Darnold threw just 21 passes in a blowout win over the Detroit Lions. There's too much volume to fade him at a basement-level cost finalized before Monday night. While most tight ends stumbled or got injured in Week 1, George Kittle composited 90 yards against last year's second-best passing defense. He would have had a bigger day if not for dropping another deep throw, but it was still encouraging to see him take the field on 51 of 66 snaps and receive two of nine targets inside the red zone. Methodically picked apart by Darnold and Enunwa, the Detroit Lions are a far better matchup than Minnesota. He possesses a higher ceiling than any tight end outside the elite trio, especially if Marquise Goodwin (thigh) misses another game. Note: All snap counts obtained from Pro Football Reference.